Global warming, caused by greenhouse gases, is a worldwide problem and one of the biggest challenges of our time. Global CO2 emissions from energy use are expected to increase by 29 percent by the year 2035, or 1.1 percent per year. This means almost a doubling of emissions compared to 1990 levels. But there is an easy way to make a difference. Quickly. 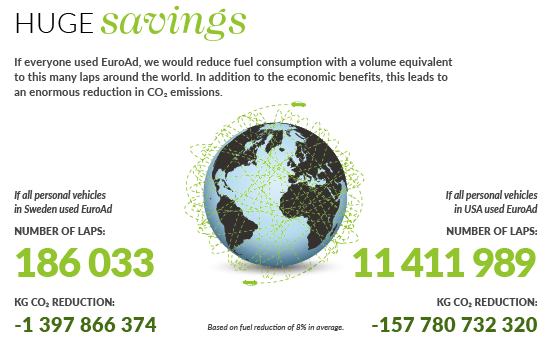 With EuroAd you can decrease CO2 emissions from your oil combustion and actively help to make our world cleaner, while also saving money and gaining health benefits. Regular use of EuroAd reduces fuel consumption by an average of 4-10 percent depending on base-fuel, type and age of vehicle/heating equipment, exhaust aftertreatment system, and maintenance. The economic benefits – through reduced maintenance, allowances and longer service life – are clearly in line with, or greater than, the reduced consumption. The explanation is simple. A more efficient combustion process increases energy production, thereby helping to reduce fuel consumption. Our 100 percent vegetable product EuroAd improves this process and increases energy output from the fuel. The fuel is atomised more efficiently, resulting in more complete combustion and increased energy production. Reducing harmful exhaust emissions means a cleaner world and a healthier environment for humans. It’s that simple. 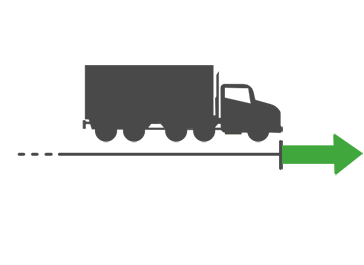 EuroAd reduces some harmful exhaust emissions by 50-75 percent on average. It also ensures more complete combustion, allowing us to extract more energy from the fuel and forming fewer residual products, which greatly reduces harmful exhaust emissions. 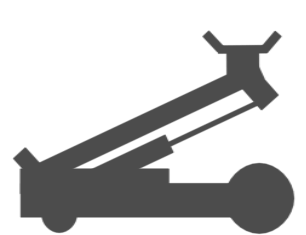 Due to the fact that just one litre of EuroAd treats as much as 32,000 litres of fuel, our product also generates relatively low emissions during transport from the factory. It also takes up little storage space at your site. EuroAd has a cleaning effect on the combustion componentd, valves and exhaust systems. 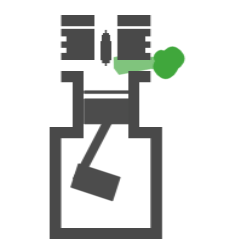 EuroAd keeps the combustion system clean, including injectors and the combustion chamber. In addition, the reduction in residual products (particularly soot) gradually reduces the need for maintenance, resulting in longer engine service life. 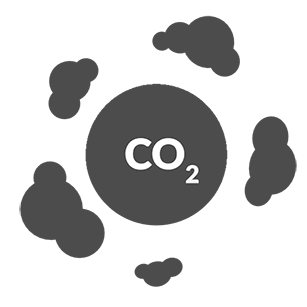 Climate change and global warming caused by greenhouse gases are one of the biggest challenges of our time. When you use EuroAd you become part of the solution to this enormous problem. While EuroAd offers major financial benefits for its users, it's also part of the solution in the battle against global warming – where CO2 emissions from combustion engines are a major contributory factor. EuroAd reduces fuel consumption by 10 percent on average. This also reduces climate impact, as CO2 emissions are reduced to a similar extent. Sometimes doing the right thing is easy.